Healthdirect Australia is a national public health information service within Australia. Originally known as the National Health Call Centre Network, Healthdirect Australia offers access to free health helplines as well as online health information and advice. They also have an online health services directory of General Practitioner (GP) doctors and specialists. Go to https://www.healthdirect.gov.au/australian-health-services to find a GP or Specialist in your area. 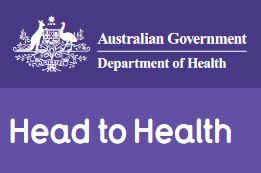 Head to Health is an Australian Federal Government Health Department website initiative having a website which has a number of ways in which to help people find the right mental health resources. Head to Health is not a place for any type of detailed advice or information. They do not have a listing of GP or specialists but this can be found at the Health Direct website noted above.